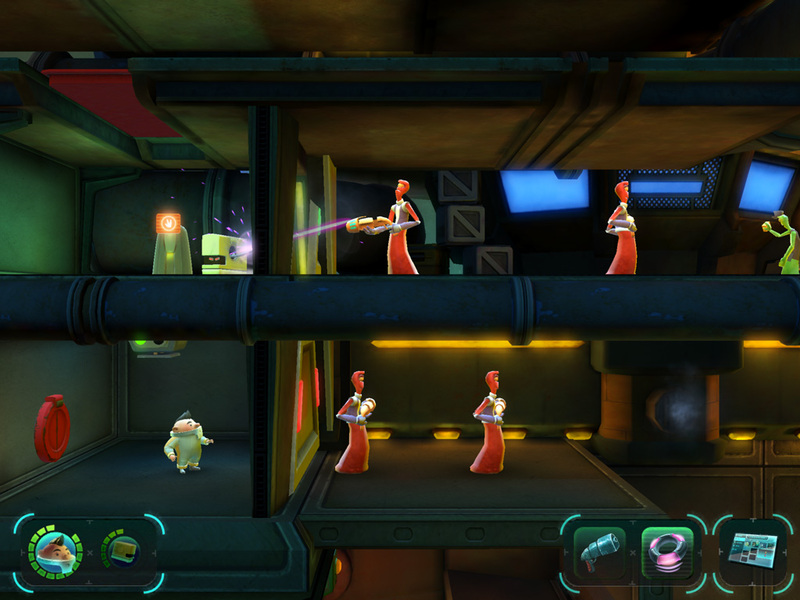 Tales From Deep Space is a fun platformer with little puzzles and a touch of combat. It’s easy to have fun playing this game, even if you play 5 minutes at a time. Being able to switch between the characters E and CASI is one reason why we enjoy this game. If you and your buddy are tired of playing the same character, you can just switch and you’ll be playing as the other character. That means that if you’re stuck on a puzzle, you can just switch and solve your partner’s puzzle instead. Another cool element of the game we like is using different gadgets to advance through the game. Different gadgets help you solve different puzzles or help you reach a new section. The gadgets are very simple and easy to use, but some characters can’t use some of the gadgets. This means you have to really work together. Tales From Deep Space is a wonderful game with great graphics and enjoyable gameplay. This entry was posted and tagged 2-player co-op, Tales From Deep Space, What We're Playing on September 27, 2015 by admin. Tales From Deep Space is a comedic mis-adventure set on Big Moon, the most eccentric space station in the galaxy. Players help E, a traveling salesman, and his loyal luggage drone CASI escape when Big Moon is thrown into lockdown. E and CASI must work together to fight dangerous battles, solve fiendish puzzles and unravel the nefarious plot behind the mysterious “Meek” uprising. 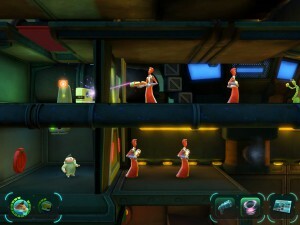 Players can switch between E and CASI in single player or they can play in local, two-player co-op where each player controls the reluctant heroes individually on their own device. Trouble has never been so fun! This entry was posted and tagged 2-player co-op, iOS Universal, iPad, iPhone, new releases, Tales From Deep Space on June 25, 2015 by admin.